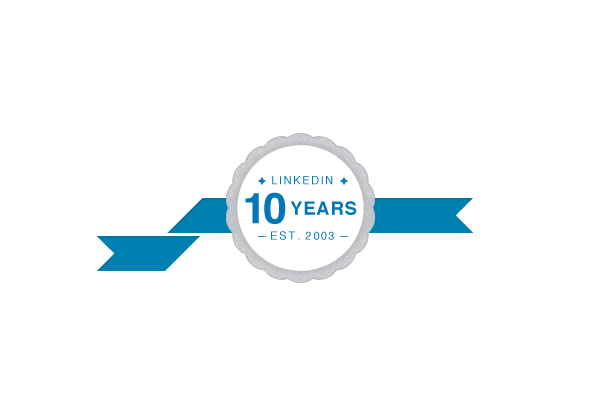 Happy 10th birthday LinkedIn. I joined LinkedIn back in June 2006. That was three years after its launch, but even then I was one of the first million people in the UK to join it and it was still pretty much in its infancy back then. Today, LinkedIn has more than 225 million members, in more than 200 countries, and 77% of all job openings are posted on it. It is massive, and it’s also big in the UK. It has 11 million UK members, making it LinkedIn’s third largest country by membership (after the US and India). It’s estimated that 4 out of every 5 UK professional are members. The company has created this video to celebrate its 10th anniversary. It says rather than look back, it wanted to ask some of its members what they aspire to accomplish in the future. Of course, if you do want to look back, there’s also a timeline that gives a brief history of LinkedIn. Time flies so fast. Although it may be eclipsed by Facebook or Twitter in terms of popularity, I think its a great platform to network with professionals within the same industry.